New Hampshire’s Portsmouth Regional Hospital provides comprehensive inpatient and outpatient medical services to the residents of New England’s Greater Seacoast area. The Seacoast stretches from Southern Maine coast to Northeastern Massachusetts. The 209 bed hospital is home to more than 200 physicians and 1,100 employees. Because of the hospital’s progressive approach and proven outcomes, area residents no longer need to travel to Boston for a vast array of procedures and services. The hospital serves as a regional tertiary center for Cardiac and Neurosurgery. Portsmouth, a seacoast city, sits near the mouth of the Piscataqua River, which divides the states of New Hampshire and Maine. 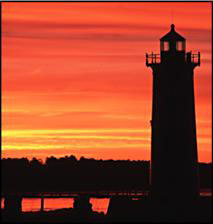 Portsmouth is at the core of a metropolitan region that includes several small cities and towns. As the nation’s third oldest city, Portsmouth is rich in history and abundant cultural activities. Portsmouth offers small-town charm blended with easy access to beaches and major cities; Boston is just an hour drive away. Close to ocean, lakes and mountains. No income tax or state sales tax.